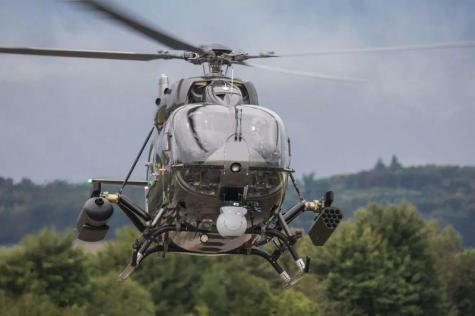 BRISBANE, Australia --- Airbus Australia Pacific Managing Director Andrew Mathewson today confirmed that Airbus has recently responded to the Commonwealth of Australia’s request for information for a four-tonne class, rapidly deployable, multi-role helicopter for Australian Special Forces. “The Airbus H145M helicopter is the military version of the H145 –the most advanced member of Airbus’ multi-purpose twin-engine category. It is based on a commercial off-the-shelf platform with military-specific modifications and is an operationally proven, affordable and low-risk option for Australia,” said Andrew Mathewson. “The H145M programme and systems are based on around five million hours of flying experience with the H145 family of aircraft which has over 1,300 units in service today. The Airbus Australia Pacific response included selected industry partners and the provision of training, maintenance, logistics and engineering activities. A comprehensive transfer of technology and skills will make Airbus Australia Pacific a regional centre able to proactively support Australian operational needs, and export this knowledge back into the wider H145M community,” he added. -- High rotor clearance and shrouded Fenestron for operations close to obstacles. “Airbus stands ready to respond to the next stage in the tender process,” Mathewson added.